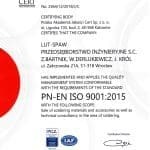 For more than 20 years, LUT-SPAW Przedsiębiorstwo Inżynieryjne s.c. has been specializing in material joining processes. 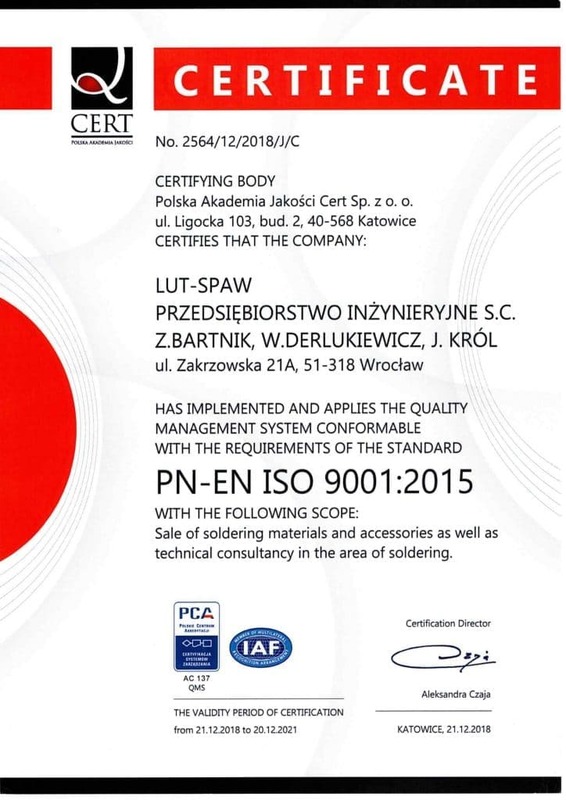 Established at the beginning of the 90s by Wrocław University of Technology research cadre in an answer to the domestic’s industry’s ever growing demand for knowledge and products used within the sphere of metal bonding processes. In 1993 LUT-SPAW begun manufacturing brazing pastes and metal powders. The growing needs of its customers over the next few years result in the dynamic company development. Our extensive experience and technical knowledge helped us to become the national industry leader. Our offer within the scope of INSTALFIT and INSTALFLUX brands includes a full range of high quality brazing materials such as: silver alloys, copper-phosphorus alloys, brass alloys, aluminum alloys, brazing rings, brazing pastes, soft solders, metal powders and fluxes. Long term hands-on experience and in-depth knowledge of the bonding process constitute a guarantee of a professional service and continual technical support.